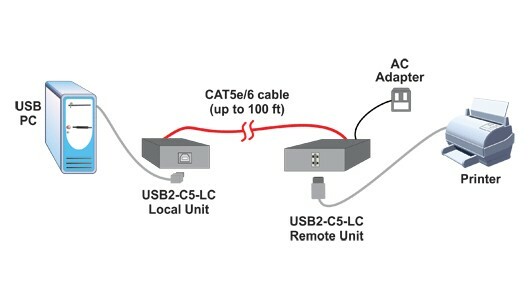 USB2-C5-LC extends one USB 2.0 device up to 328 feet (100 meter). 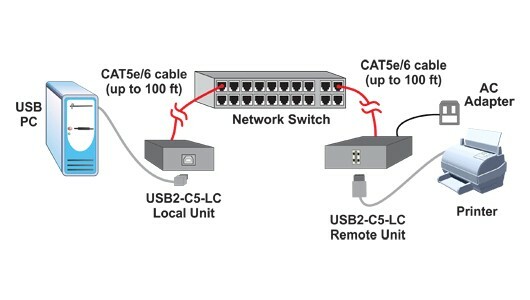 Extend up to 656 feet (200 meter) by using two CAT5e/6 cables to connect the extender to an Ethernet switch. Compatible with PCs or laptops (Windows XP/Vista/7 (64)/8/10). Supports high-speed (150 Mbps), full-speed (12 Mbps), or low-speed (1.5 Mbps) USB devices. One male USB Type A connector on attached 5.9-inch (150-mm) cable. Supports 32- and 64-bit operating systems, except with Windows 7 (only 64-bit supported). Local unit: powered from remote unit via CAT5e/6 cable. Remote unit: 100 to 240VAC at 50 or 60 Hz via US AC adapter (included). Local unit: 1.18x3.19x0.83 (30x81x21 mm). Remote unit: 2.01x2.09x0.91 (51x53x23 mm). 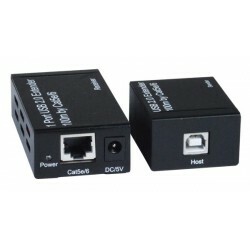 Use CAT5e/6 UTP straight through cable for TIA/EIA-568B wiring terminated with standard RJ45 connectors (not included). Extend one USB 2.0 device up to 328 feet 9100 meter). 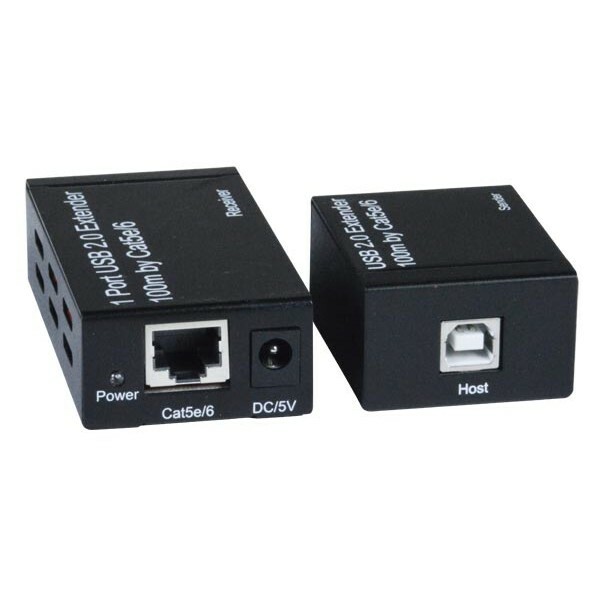 Extend one USB 2.0 device up to 656 feet (100 meter) by using two CAT5e/6 cables to connect the extender to an Ethernet switch.